We’d love your help. Let us know what’s wrong with this preview of Into the East by J.A. Davis. We once again find Aaranon, who was previously plunged into a foreign world filled with assassins, dubious government agents, merciless spies, and an enraged lower-class with an appetite for revenge against the kingdom he once defended, in a race for his life. As the countdown to the end begins, four worlds are headed for disaster, three regimes fight for the hearts and min We once again find Aaranon, who was previously plunged into a foreign world filled with assassins, dubious government agents, merciless spies, and an enraged lower-class with an appetite for revenge against the kingdom he once defended, in a race for his life. To ask other readers questions about Into the East, please sign up. J.A. Davis is the author of the new science fiction trilogy: Into The East. 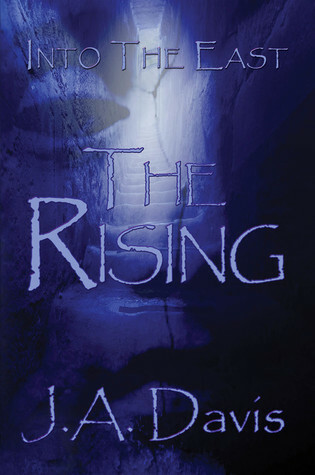 The Razing is the first book in the series. Jeff and his wife meet years ago while doing standup comedy in the Indianapolis area. It is that same sense of humor that has carried them along life’s, sometimes, bumpy road. After attending Rose Hulman Institute of Technology for Mechanical Engineering, Purdue University for Ae J.A. Davis is the author of the new science fiction trilogy: Into The East. The Razing is the first book in the series. After attending Rose Hulman Institute of Technology for Mechanical Engineering, Purdue University for Aeronautical Technology, and Liberty University for theological studies, along with currently being employed as a Senior Systems Analyst and IT manager for the world’s largest diesel engine manufacturer, Mr. Davis decided to employ his love of technology and ancient discoveries into his other love of telling stories.